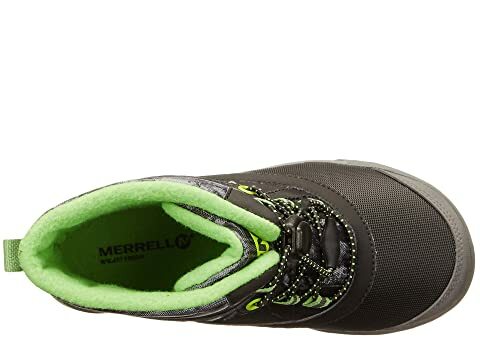 Merrell® temperature ratings are general guidelines for warmth and comfort. How you feel temperature depends on a variety of factors. 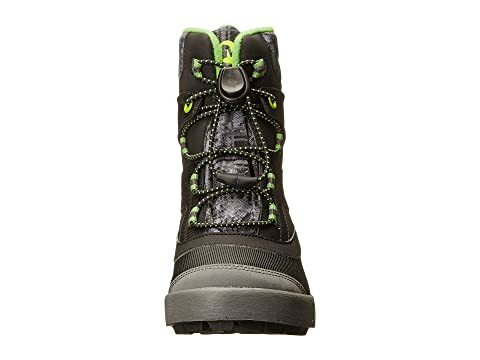 At different activity levels individuals will experience different metabolic rates which can be influenced by many other variables such as weather conditions, exposure time, clothing and cold sensitivity. 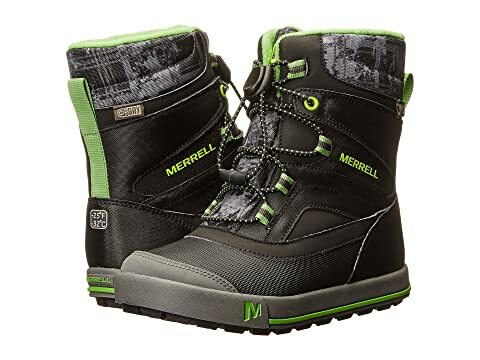 Whether to school or to the snow, the Merrell® Kids Snow Bank 2.0 Waterproof Boot can get your kid there while staying toasty and dry! Lace-up closure with toggle offers an easy wear. Pull-on tab at rear provides easier wear. Fun patterned cuff offers style and a pop of color. 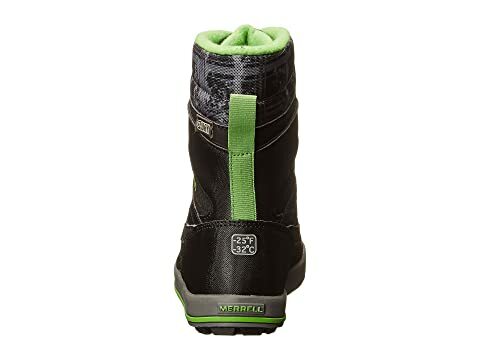 Soft fabric lining offers a great wear in shoe. 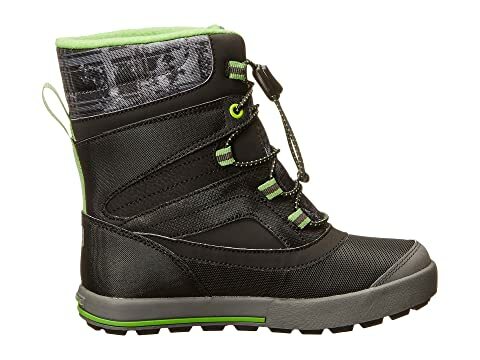 M-Select FRESH creates a healthy foot environment by fighting odor-causing bacteria. 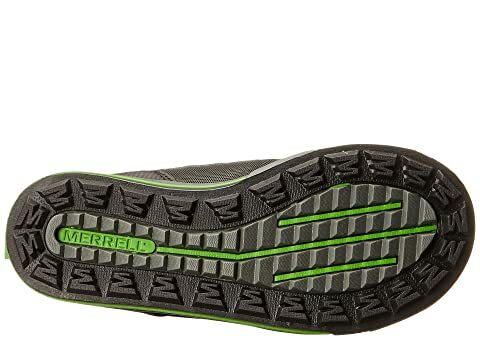 Non-slip M-Select GRIP rubber outsole creates a steady grip with traction on various surfaces.